According to WWLP 22 News, a 68-year-old man from Westfield, Massachusetts died recently after he was involved in a serious car crash. There were multiple witnesses to the deadly car crash who called 911. Authorities reported defendant ran a red traffic light at a major intersection and broadsided another car that was turning into the intersection. The victim was in the car that was allegedly broadsided by defendant.Defendnat then allegedly fled the scene of the fatal crash. When first responders arrived on the scene, they found the victim still alive, but in critical condition. They did what they could to stabilize him before transporting him to a local level-one trauma center. He was pronounced dead soon after arriving at the hospital. As for the defendant, police were able to locate him not far from the collision, as he had also suffered an injury. A booking photo shows him wearing a hospital gown and with large white bandage of his forehead where he was injured. As is the common practice in Massachusetts in cases like this, he was arraigned from his hospital room. Prosecutors charged this defendant with motor vehicle homicide, negligent operation of a motor vehicle, and leaving the scene of a car accident with personal injury or death (hit-and-run). While he has not been charged with drunk driving, he was ordered when released on bond not to drive a motor vehicle after consuming any alcohol. To ensure he complies with this, he is required to use a vehicle breath ignition interlock device, which necessitates a breath sample from the driver resulting in a score of 0.0 blood alcohol concentration (BAC) before the car will start. The car will also prompt you to give another sample at random times or it will shut down. This is to prevent what police call a “blow and go” where the driver has a sober person blow into the tube and then drive away. This was a problem in earlier models of the device. Even though defendant has been charged with some serious offenses, he is presumed innocent unless and until he is found guilty in a court of law beyond a reasonable doubt. In cases where the alleged at-fault driver hits your car causing serious personal injury and flees the scene, there is a chance that the police will never find out who was responsible for the accident. This does not mean you are out of luck in terms of obtaining a full and appropriate financial compensation for your losses, as you can discuss with an experienced Boston car accident lawyer. One of the ways your accident lawyer can help is if you or someone in your household owns a car and has insurance on that car. Even if the car was not in the accident, you may be able to recover for your accident under what is known an uninsured motorist (UM) policy. 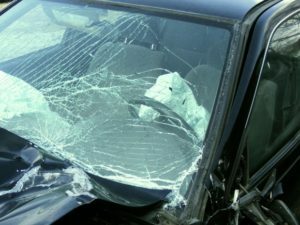 Since we do not know who hit you, he is treated as an uninsured motorist for the purposes of your car accident lawsuit.